Lee can sense gold in the world around her. Veins deep in the earth. Small nuggets in a stream. Even gold dust caught underneath a fingernail. She has kept her family safe and able to buy provisions, even through the harshest winters. But what would someone do to control a girl with that kind of power? A person might muder for it. I fell in love with Rae Carson's The Girl of Fire and Thorns series a few years ago, and I've been eagerly anticipating her newest release ever since. And the best part? 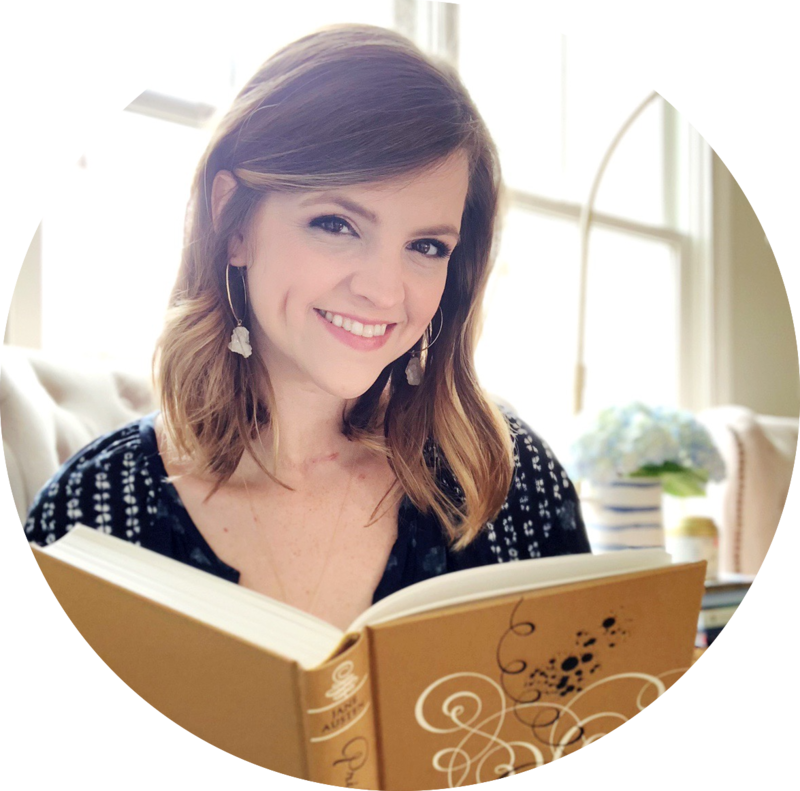 It's one of my favorite genres - historical fiction (mixed with a dash of fantasy for a little extra fun). I was thrilled to get the chance to read it for review, so you'll have to forgive me for not reviewing it sooner. This blogging slump lately has been killer! To be honest, I didn't think I was a huge fan of Westerns, but Walk on Earth a Stranger marks the fifth one I've read this year. (SIDENOTE: If you're looking for more Westerns after reading this book, I highly recommend Under a Painted Sky by Stacey Lee for YA and These is My Words by Nancy E. Turner for adult. Both of these books are new favorites for me!) This novel has the most gorgeous cover of all, if I do say so myself. I know they say you shouldn't judge a book by its cover, but I couldn't help myself with this one. Thankfully, this cover won't lead you astray. The story inside is just as good! Walk on Earth a Stranger is the story of Leah Westfall, a young girl with a dangerous secret: she can sense gold in the world around her. For most of her life, Leah has felt safe and secure. She loves her home and family, and she's got an awesome best friend. But tragedy strikes, and everything changes. Suddenly, Leah is on her own - and on the run. The news of gold in California holds the hope freedom, but will she survive the journey? 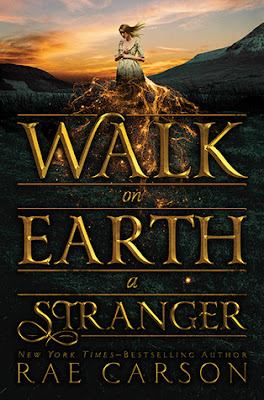 I had two favorite things in Walk on Earth a Stranger: the setting and the characters. The book starts in Dahlonega, Georgia, which I loved because I've lived in Georgia my entire life. It was fun to see the state in its early days - and learn a little about its gold rush history! Once Leah goes on the run, she's traveling across the country in the hopes of reaching California. As expected, it's a dangerous journey. I enjoyed taking the trip with her and "seeing the sights," if you will, but I also liked the people she meets along the way. And that leads me to the characters! Leah was an amazing heroine, and I really enjoyed her best friend Jefferson. For me, they were the most developed characters in the book. I felt like a few of the secondary (or even more minor) characters were a little undeveloped, but I could see some of that improving throughout the rest of the series. I was expecting a bit of romance, but there was really only the barest hint of it in this story. However, I'm hoping that will change! Elisa and Hector in The Girl of Fire and Thorns series are one of my all-time favorite couples, and I need another Carson couple to root for! The story itself kept my attention, though I had a few issues with pacing. This book definitely seems to be setting up the action for the rest of the series, so it was a lot slower than I'd anticipated. But I was engaged the entire time I was reading, and I can't wait to see what will happen next! The fantasy element was very minor, so you might be disappointed if you're expecting that to play a larger role in the plot. All in all, I was quite pleased with Walk on Earth a Stranger. It's a solid start to a new series that I could see becoming a favorite for me, and I'm excited to follow Leah (and Rae Carson!) on the journey. 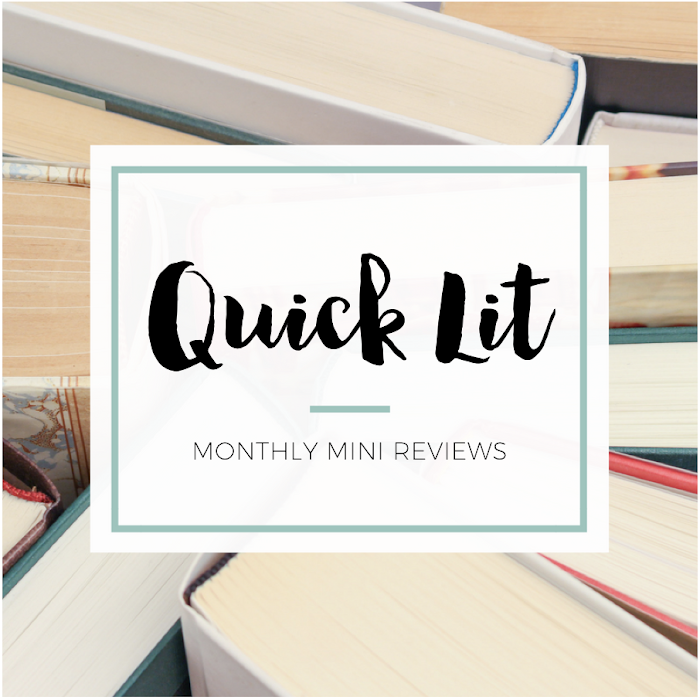 While I had a few issues with pacing, the setting and characters grabbed my attention. The second book can't get here soon enough! If you're a fan of Westerns, this book might be the gold you're seeking! I really, really loved WALK ON EARTH A STRANGER! It's probably one of my favorite novels I've read this year. I honestly had a hard time setting it down once I'd started it, and I definitely can't wait to read more of Lee's story! I loved this book. Definitely a favorite of 2015 (though as with all Westerns I'm trying to frame that in terms of what might be problematic with Native portrayals). It's funny you mentioned some of the characters seeming underdeveloped because I actually was impressed by how vivid they all seemed. I totally agree about the setting--so vibrant and awesome. I didn't know what to expect from this book but in retrospect I'm glad the book focused so much on the journey because it gave readers a lot of time to get to know the landscape and the core characters.